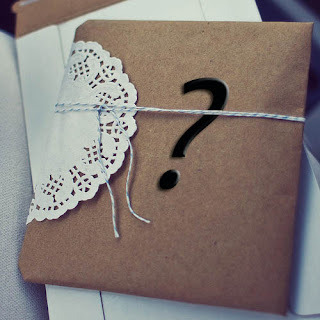 Over on the Armchair Genealogist, Lynn Palermo has very conveniently helped all genealogists by putting together a holiday shopping list for their loved ones. She has made some great recommendations and I highly suggest you check it out. While Lynn was being very generous with her ideas, I am going to be very selfish. This list of six items contains what I want for Christmas. I don't want you to give it to somebody else, I want somebody to give it to me! 1. 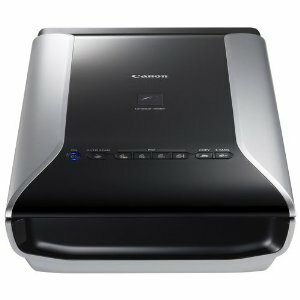 An 11x17 flatbed scanner that can scan all the old deeds and other documents that come in super-size. Canon makes some very nice ones! 2. Tuition to cover the Boston University Certificate in Genealogical Studies, on-site classroom version. 3. A $500 gift certificate to Jonathan Sheppard Books so that I can buy lots of New York related books and start making an attempt to solve all my New York brick walls. 4. A video camera so I can start making cool videos like Caroline Pointer. I don't know anything about digital video cameras so someone will have to help me out with suggestions. 5. An all expense paid 3-day trip to Washington DC so that I can research at NARA, the Library of Congress and the DAR. 6. Lifetime memberships to all New England state genealogical societies: The Massachusetts Society of Genealogists, Rhode Island Genealogical Society, Connecticut Society of Genealogists, Genealogical Society of Vermont, New Hampshire Society of Genealogists, Maine Genealogical Society. Let's throw in NEHGS and NYG&BS while we're at it! I'm not asking for too much am I? Santa are you listening? Futuristic - Recording Vacation Memories Straight from the Brain! As I was driving home from the Massachusetts State Archives yesterday I tuned my car radio to the program Fresh Air on National Public Radio. The host, Terry Gross, was interviewing Physics Professor Michio Kaku of City University of New York. Kaku was on the program talking about his book, Physics of the Future. Ok, yes, I admit, I really am a geek. I love to listen to stuff which I know nothing about. Kaku had all sort of fascinating things to say about the not so distant future. 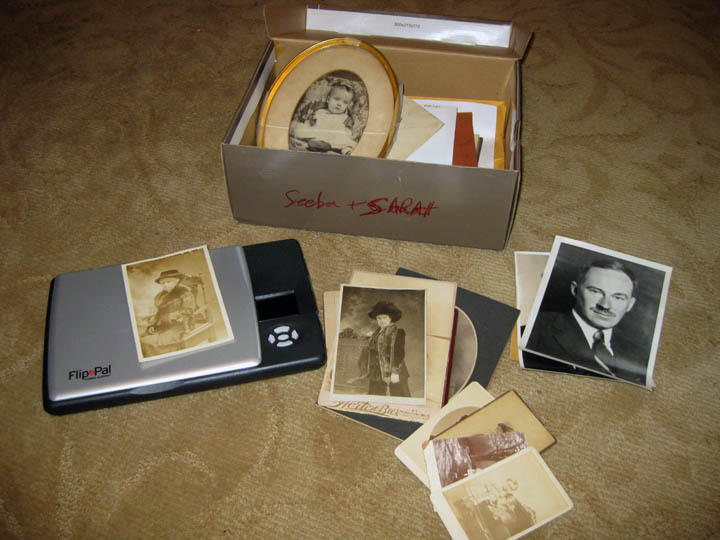 One item that has implications for family historians is the concept of recording memories. He described how scientists recorded memory impulses in the brains of mice then erased the memories with the use of chemicals. Next they re-inserted the memories via the recorded impulses. The mice were able to perform the tasks again without having to learn them. He went on to say how recorded memories would be able to help humans learn and even them help save memories. He described how people may be able to save vacation memories through capturing these impulses in the brain. How about that for a new method of passing down information to your descendants?! To hear the full interview or read highlights check out the interview page on Fresh Air. 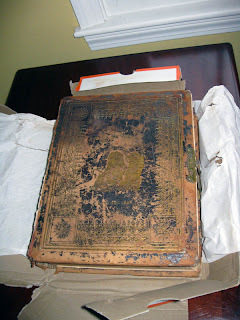 The other week I received an Edwards Family Bible in the mail from a complete stranger. What a wonderful gift! Now that the excitement has waned it's time to get down to the task of analyzing the Bible. "Analyzing the Bible?," you say. "Yes!" Bibles must be analyzed so that we can determine the accuracy of the family information that is included. 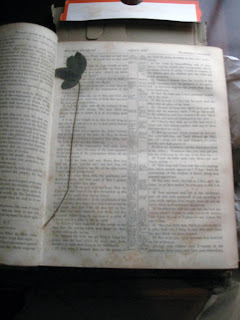 This Bible does contain an inscription that let's us know who owned the Bible and who gave it to him and when. Jacob Sanders Glen Edwards is a known family member who was born 16 January 1847 in New York. At the time he received this Bible he would have been 21 years old. Perhaps he received it for his birthday. One of the most important parts about analyzing your family Bible is to check for the publication date. That will give you a baseline against which to compare the handwritten dates. 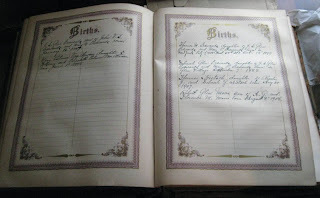 Ideally all handwritten dates relating to family history should be later than the date of publication. Also check the name and location of the publisher. Was this a local publisher or did the Bible perhaps get brought over from the "old country?" 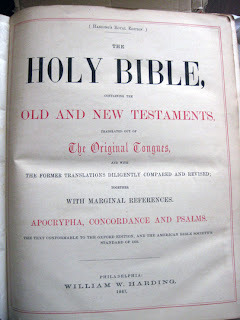 I don't know anything about this particular Bible publisher but it was printed in Philadelphia, PA. It does not seem out of the ordinary for a New York family to have a Bible like this. 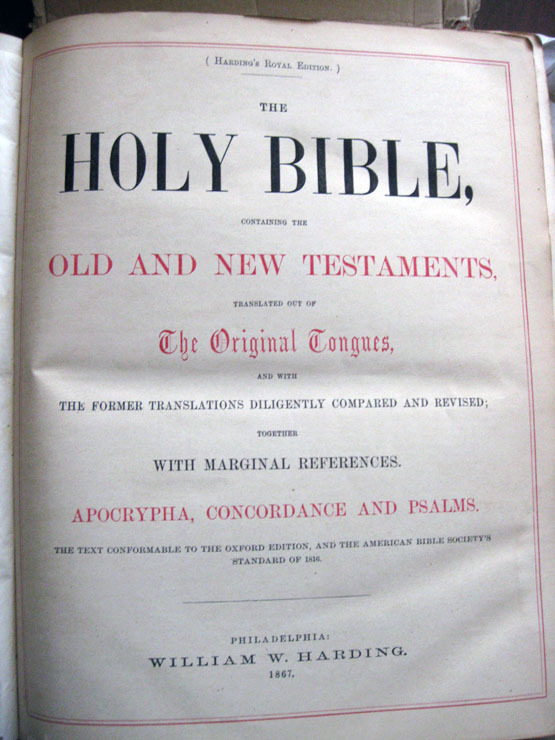 The Publication date of the Bible is 1867. That is one year before the date of the inscription. So we are off to a good start. Where Will I Find the Family Information? Mostly likely the family information will be on pre-printed form pages inserted between the Old Testament and the New Testament. Check the Table of contents if you have trouble locating it. The first section that appears in this Bible is the page for Marriages. 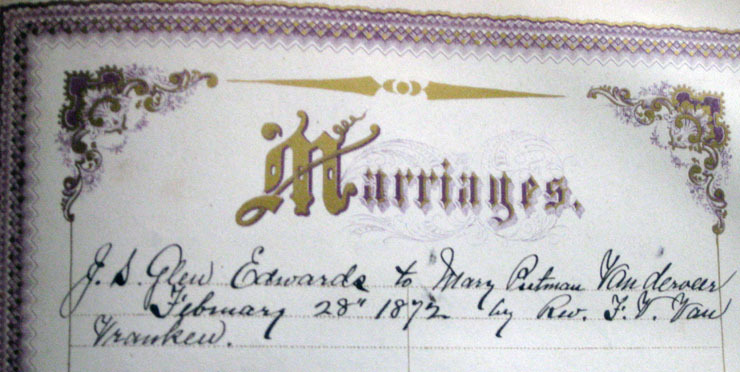 One marriage is recorded. We are off to a good start. 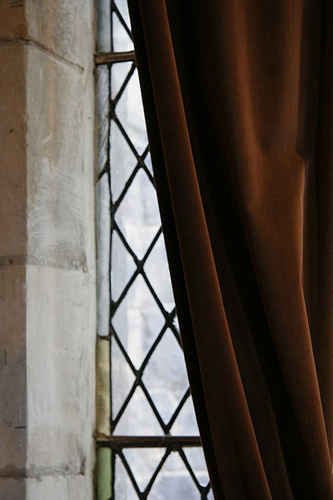 The only marriage recorded is that of the owner of the Bible and it was recorded when he married Mary Van Derveer, four years after receiving the Bible . 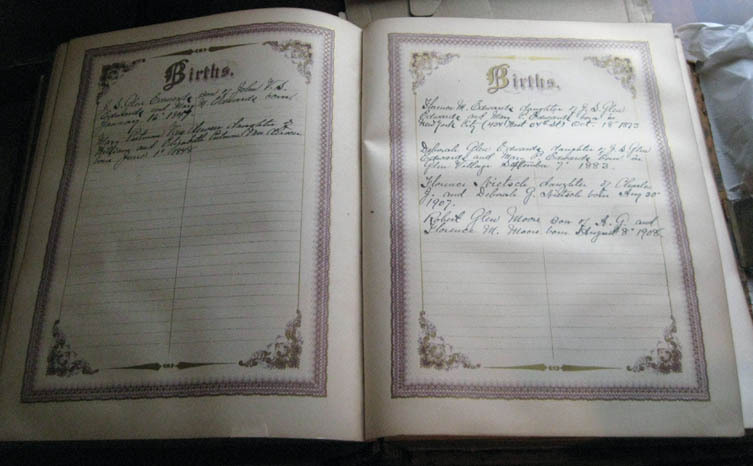 There are two pages of births included with the Bible. We run into a little bit of a hiccup on the first page. J.S. Glen Edwards son of John V.S. These records are considered derivative (or secondary) evidence because they happened before the establishment of the family Bible and the two people were not consciously present at their own birth. We can presume that they have it on good source that they know their own birthdays and parents. So we will allow them the indulgence of including themselves in the Bible! Indeed, if you didn't know who their parents were this could be just the place that you get that clue. 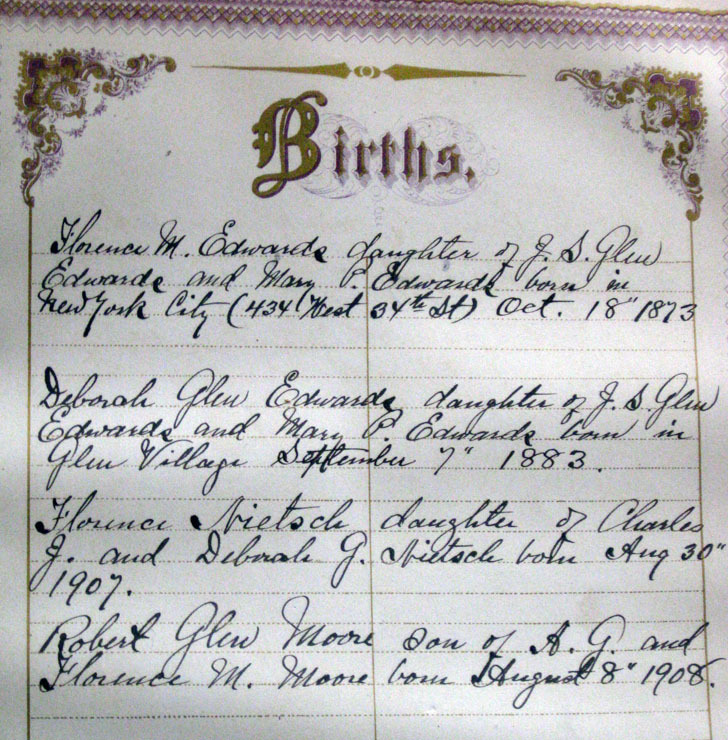 The second page of Births includes the two daughters of J.S.G. and Mary Edwards. Interestingly enough it also includes two of their grandchildren, one born in 1907 and one born in 1908. For people having difficulty tracing women an entry like this helps to reveal the names of the spouses and thus the daughers' married names. Only one death is recorded in this Bible. died April 1" 1909 aged 60 years & 10 mos. It is for J.S.G. Edwards' wife. He did not die until 18 March 1917 so we can presume (though not verify) that it was written by he himself. Next, check all the handwriting for all the entries. Does it look like it was written at various times over the years with different pens? Handwriting changes at least slightly over the years and gets less steady with age. In contrast the handwriting may all be identical, with the same ink, strokes and weight. That could suggest that someone sat down and entered it all at one time. Ideally the entries will vary slightly and suggest that they were written at the time of each event. 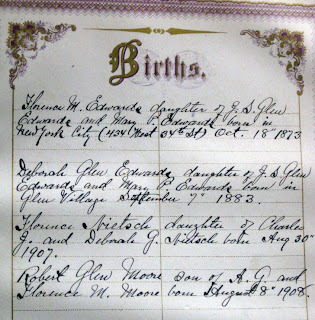 Lastly, compare the handwritten information to what you already know about the family. 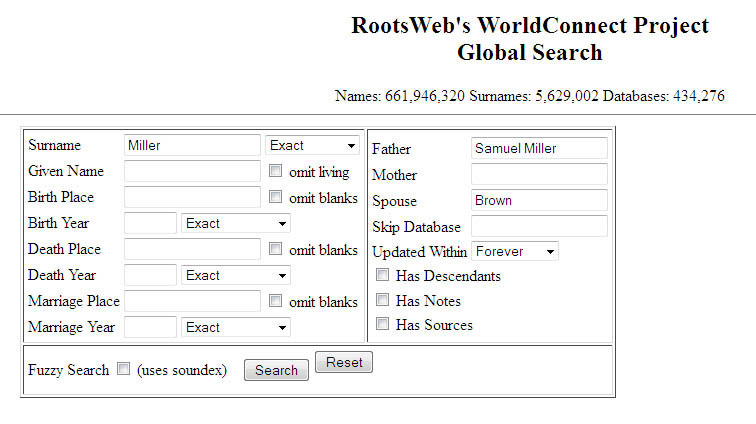 Do the names, dates and location fit with what you know about your ancestors? Does any of the new information conflict with what you already have? Conflicts of information are not bad. They should encourage you to work harder to understand why you might have conflicts. All in all this is a great Bible with mostly contemporary information and I'm so happy to have it. Tell me your stories from finding Family Bibles! What did your Family Bibles reveal to you? In 1816 Josiah Witter wrote to the government to inquire about the status of his pension application. He had applied in 1792 and been approved but still hadn't received any pension funds. Witter was a veteran of the Revolutionary War and had been injured in battle. He believed he deserved a pension and so did the United States government. So why was it taking so long for him to get it? The answer to that question is found in an interesting article by Diane Rapaport called "A Matter of Extreme Regret": Josiah Witter's Pension Plight" which can be found in her Tales from the Courthouse column in the current issue American Ancestors (Vol. 12, no. 4, Fall 2011, page 51). If you are a member of the New England Historic Genealogical Society (NEHGS) [members receive the publication automatically] or have access to a genealogy library please be sure to read this article. Not only is Josiah Witter the backdrop to a fascinating story but his example provides a lesson in the true nitty gritty of genealogical research. If Witter was approved for a pension why didn't he get it? Therein lies the lesson of going beyond a basic genealogical search. The answer to this story lies in understanding contemporary politics and law. Without understanding those two factors it would be impossible to understand the full story of Josiah Witter. Unfortunately, I can't give away the story plot or the details of how the mystery was unraveled. It will be much more fun for you to read it yourself. But I strongly encourage everyone to read this article as an example of the kind of approach you should be taking with all your genealogical challenges and brick walls. I'm not much of a crafty person. I'm all thumbs when it comes to glue and glitter. So I came up with a non-crafty project to do with my Flip Pal. 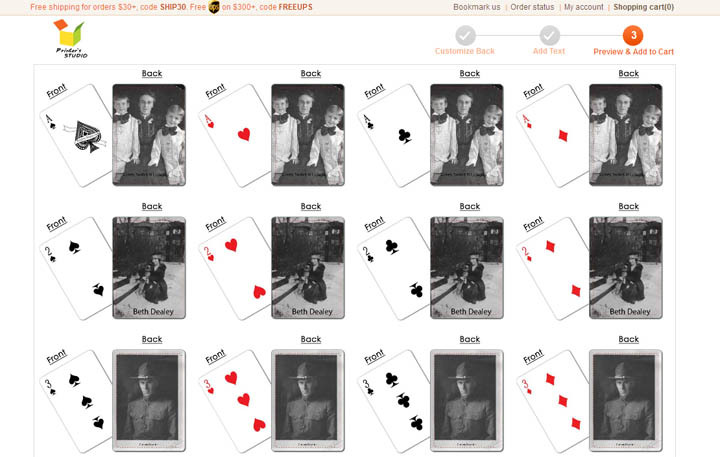 Scanning and photo editing are right up my alley so I decided to create a custom deck of cards. I thought this would be a nice quick project but it turned out to be more work than expected. However, in the end I think the time put in was worth it. I spent a lot of time searching the web to find a vendor. 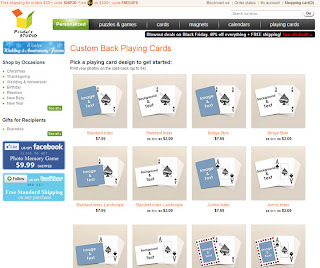 I settled on Printer's Studio because they had cards for as low as US $7.99 for a single deck and because their drag and drop interface looked the easiest to use. I saw other vendors selling decks for $20 and even $50! 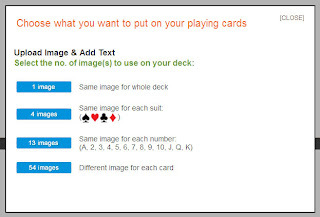 Printer's Studio has a bunch of different deck options but I chose the basic Image & Text Standard Index. 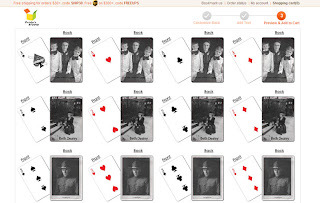 You can customize the deck with 54 unique photos or you can choose 13 images (the same image for each number) or 4 images (the same for each suit) or just one image for all the cards. It seemed to me that 54 cards turns it into a bit of a memory game where card counters have the advantage. I thought 13 would be better but they don't offer the option to randomize the photos so all the Aces, regardless of suit, have the same photo. Therefore making it even easier for the cards sharks. Oh, well, it's all to preserve family history, right?! Next I had to upload the photos. I chose (really before I thought about it) to add text directly to my photos. Originally I was just going to add photos. Then I thought of all the orphan photos out there and decided I shouldn't make my ancestors future orphans so I put their names on all the photos. There is actually no need to put the text on the photos because Printer's Studio gives you that option in the next step but I guess I'm a control freak when it comes to images so I added the text right onto my images using Adobe Photoshop. Note: if you want to stop and work on the project later or purchase the project at a later date, create an account save your project in "My Library." Printer's Source doesn't ask you if you want to save the project when you are checking out. I only used photos from 6 or 7 different people so I gave some consideration to placement. I didn't want to have three photos of the same person one after the other. After uploading all I had to do was drag and drop to get them into the right position. After you upload all your photos and press continue you'll be given the chance to add text. Because I had added the text directly to my photos I skipped this step. Next Printer's Studio will show you what your photos will look like when they are on the cards. This is where I discovered that each number would have the same photo. 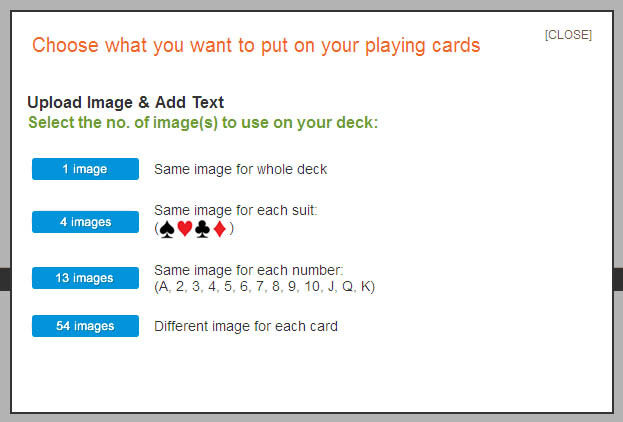 A better system would be to randomize the photos on the numbers but I couldn't see that being offered. The cost was US $7.99 plus $5.99 for shipping. I thought that was fairly reasonable. I ordered one deck. If I like the way they come out I will order more and give them to family members for Christmas. There were two options for payment 1) credit card (Visa or Mastercard) or 2) Pay Pal where you could pay with Visa, Mastercard or American Express. Project Time: This project took me a total of about 3 hours between scanning, adding text and uploading. I admit I am a bit fussy with the photos so others might be able to do it quicker. This was a fun family history project that involved no glitter. I am really looking forward to getting the cards back to see how the turn out. I'll give you an update when they arrive. While I love to write blog posts and try to make them as interesting as possible, I have to admit that sometimes the comments end up being better than the original posts. That's because there's a great exchange of ideas between a bunch of people who are helping each other. I think I probably learn as much from my readers as they do from my posts. The only problem is the that the folks who are reading blogs via email or blog readers aren't seeing the comments. I'm not suggesting that you change your habits but I just thought I would let you know what you are missing out on. Now I know it's a little strange but I'm going to ask you to read these for the comments. Check out what your peers and colleagues have to say. They've got some really great information! Do you have an Android Smart Phone and are actively engaged in social media using Google+? Then you could have a recipe for disaster. Allow me to share my own story. Let's keep in mind that I am not a programmer or otherwise savvy technogeek. I'm not in dark ages either. I know how to use most of the tools I need and where to go for help when I need it. This time around I am at a total loss. I admit I am a very active person on Google+. I have circled over 2,500 people, mostly genealogists, historians, writers and photographers. I like to be in the thick of the conversation. One of the features of the Android Smart Phone is that it syncs automatically with Google. That means any contacts I put in my Google contacts will sync automatically to my phone. And likewise any contacts I add manually to my phone get synced to my Google contacts in gmail. I maintain about 200 contacts which consists of family, friends and colleagues that I might need to call. Normally this is a great feature. Enter Google+ into the picture. With its promotion of total integration, Google is interconnecting all of its functionality/apps. That means they are trying to be helpful by syncing all Google+ contacts to my regular Google contacts account. And in turn that means 2,500+ contacts are being synced to my Android Smart Phone. In fact the situation got so crazy on my phone that it actually shut down total functionality on my phone. I wasn't able to run anything. So I took the extreme measure of resetting my phone to the factory default settings. As soon as that was done and my phone reprogrammed I immediately turned off the sync contacts feature. I have contacted Google+ to see if they can help me resolve this problem. I have searched the web looking for answers. I have asked my Google+ contacts for help to see if they had any tips. In the meantime, I won't be syncing my contacts anymore until I get an answer to resolve the problem. If you start getting space storage problems on your Android phone and you're a Google+ user then this could be the problem. As far as I can see, Google doesn't provide options in either Google+ or in Google contacts to shut off the automatic syncing of the Google+ contacts. If anyone knows how to resolve my problem please let me know!! I would really like to get back to normal operation with my technology. Thanks for listening to my rant and triple thanks if you can help solve my problem. ps. My particular brand of phone is the Android Ally. During my morning routine I regularly read articles shared on Twitter by Deb Ruth and other genealogy colleagues. This morning I was reading an article from BuffaloNews.com called "No Place Like Home" by Charity Vogel. It's an article about a woman who was an archivist for the Smithsonian and traveled the world only to find that she ultimately wanted to settle in her small home town of Cherry Creek in Western New York. The article goes on to detail all that she has done to transform the historical scene in Cherry Creek. "Researching the history of her own home and other structures and incidents in Chautauqua County -- in part by using old copies of the Cherry Creek News from the 1880s through the 1930s, which she found in the local museum on 17 rolls of decaying microfilm and has since had converted to a digital format." Ok, I admit, when it comes to microfilm my view of the world is fairly limited. My general sense, though I know it is erroneous, is that all microfilm comes from the Family History Library in Salt Lake City. This article sent a shock wave through my body. What if the microfilm in Cherry Creek is unique and copies aren't held by the Family History Library? 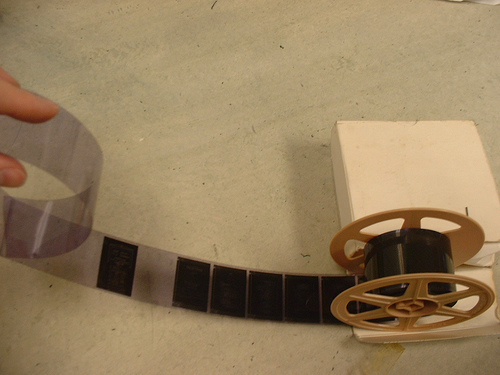 The thought of decaying microfilm is so scary. How many small historical societies have film that might be disintegrating? Are we losing important resources? In this particular case Sharon Howe Sweeting, the subject of the story, came to the rescue and converted the microfilm to digitial format. That makes me wonder too. How did she convert the microfilm? Did she do it herself? Did she have to go to a company that converts microfilm? Is it expense or difficult to do? I hope that this one historical society with its decaying microfilm is not typical of historical societies in New York or beyond. If it is, I hope that we can save the deteriorating microfilm before it's too late. I can't help but selfishly think of my own New York ancestors and have fear for my ability to solve my brick walls. In this one case, the folks of Cherry Creek were lucky. Their microfilm was saved. But how many won't be so lucky? Photo Credit: Photo by Deborah Fitchett and used under the creative commons license. I have always stored electronic genealogy files on my computer. Up until this year my system worked pretty well. I had a main directory for my mother's surname and another for my father's. Under that I had subdirectories for further surnames. I would just sort of bung everything together in one surname directory. My main organizational method included a file naming pattern such as this: SurnameGivenName-Year-documenttype. That would translate as EdwardsJohn-1792-baptism.jpg. In this way I could see all my ancestors alphabetically, then chronologically by name and also quickly identify the specific document. I thought I was pretty clever using that system. Now I don't feel so clever. The thing is I'm experiencing data overload. 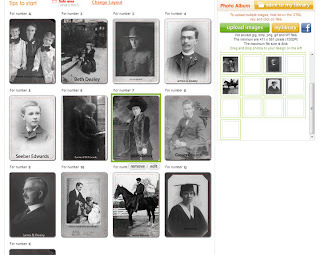 In the early days when I was simply downloading images from Ancestry.com that system worked pretty well. Now I am regularly taking photographs, scanning papers copies on my non-portable flatbed scanner, scanning from books and records with my Magic Wand and next up will be even more scanning, including microfilm, with the Flip Pal. My number one goal is to be able to put my hands on a specific file at a moment's notice. If I can achieve that, I will feel like I have a good system in place. I would also like to be able to process all of my electronic files efficiently. Right now I am a bit overwhelmed at the thought of renaming the hundreds that I can bring in during just one research trip. Is anyone else dealing with this enormous jump in the intake of electronic files? How have you coped with increase in volume? How are you renaming your files? Is anyone using a database to manage their files? Or is there perhaps a software program that helps keep the chaos under control? I find myself in this scenario a lot - I go to a Registry of Deeds or Town Hall to do research. I have a research plan (i.e. a long to-do list) and I want to accomplish everything on my list. Often times the next step I take depends on reading the document in hand, making a quick analysis and then dashing off to find the next document. At the end of the day I pull together all my photocopies, photographs and/or scans along with notes and head off home. Once I'm back in my office or the next day I start to really mentally process and take in the research I did on-site. 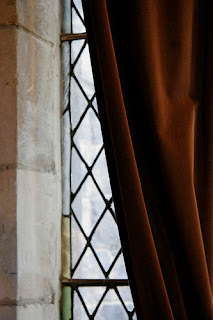 Lingering questions and "what ifs" or "did it really say that" start creeping into my head. Before I know it I am pulling out the documents, reading them again, clarifying and hopefully answering the questions in my head. How exactly was the name written on that will? Which children were named in the guardianship papers? 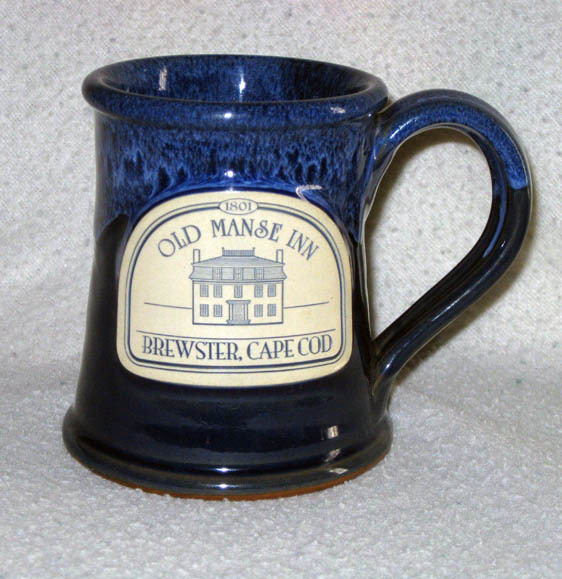 Where is Otter Creek anyway (I bet it's critical to this mystery!)? Did I check the transfer date versus the recording date on the deed? I find that I typically check relevant documents two or three times before I am completely satisfied that I understand what information they have to offer me. And some documents I revisit months or years later (you know, for those particularly sticky mysteries). How many times do you read the documents that you collect as you do your research? Do you sit and thoroughly absorb them the first time around? Or do you need to revisit them as I do? I'll be very curious to hear your responses and learn your research habits! Those of you who read my blog regularly hear my thoughts on research and the genealogical community. What you don't hear much about is the other side of my work which I tend to share more on Facebook and now Google+. I thought I would take the time to share that part of my life today. A big part of who I am and what I do is public speaking. I just don't tend to discuss it much on my blog. I love to meet people and to share ideas and to travel. Speaking about genealogy and house histories to groups lets me do all of that. Often times the people I meet enrich my knowledge of the topics that I am interested in. Up until recently I have focused my energy on the New England area. Then I branched out by starting to do webinars which have national and international reach. This year I have also ventured forth into New York state and I'll be heading back there again next spring. In addition to house histories, I speak about brick walls ("Cracking the Case of Nathan Brown's Parents" and "Ten Brick Wall Tips") as well as some of my favorite resources ("Deeds and Probate: a Powerful Combination", "Two Chairs and a Pair of Spectacles: Discovering Your Ancestors in Probate Records" and "Pirates and Prisoners: The Registry is More than just Deeds"). I love to talk about social media ("Don't Call Your Relatives, Let Them Call You" and "What is a Blog, Anyway?") and cemetery research ("Cemetery Research for Your New England Ancestors"). I am also keenly interested in presenting webinars. I gave a few for the Southern California Genealogical Society Jamboree Extension Series in 2011. I've given two webinars for Legacy Family Tree and have several more lined up. I have presented over 65 talks, 29 in the last year alone. I have given four talks in one day where I was the featured speaker for an annual event and I have spoken at major libraries and large regional conferences. I've spoken online to an audience of over 1,000. I would describe my talks as a combination of genuine interest, solid knowledge of my subjects and energetic passionate delivery. Though I think that the people who have heard me speak could probably describe me better. So if you're interested in having me speak, drop me a line or let the officer's in your organization know that I'm available. I would love to meet more of my blog readers and friends on Facebook, Twitter and Google+. 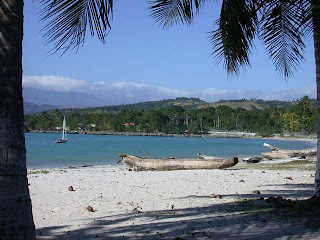 Photo Credit: Photo by macinate and used under the creative commons license. 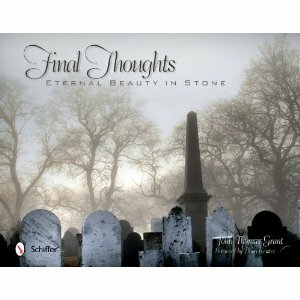 Final Thoughts: Eternal Beauty in Stone is the debut book by photographer, John Thomas Grant. 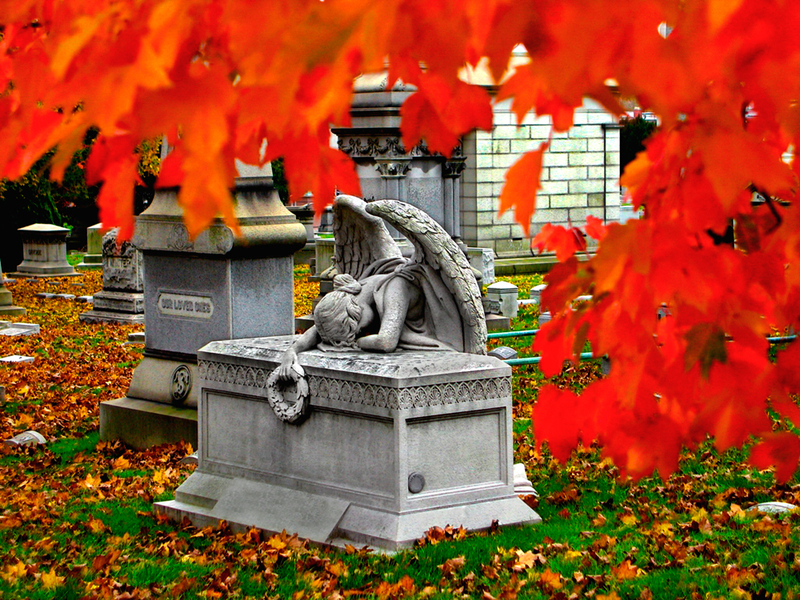 It is packed with 156 pages of high quality, beautiful color images taken in the historical cemeteries of the northeastern United States. Make no mistake, this book is not a documentary or historical transcription but rather a journey into the past which reminds us, in stunning photography, that those who passed before us were as vibrantly alive as we are now. Using both color and black and white photography, Grant's purpose is to leave the reader unencumbered with text so that they can explore the stirring images for themselves. 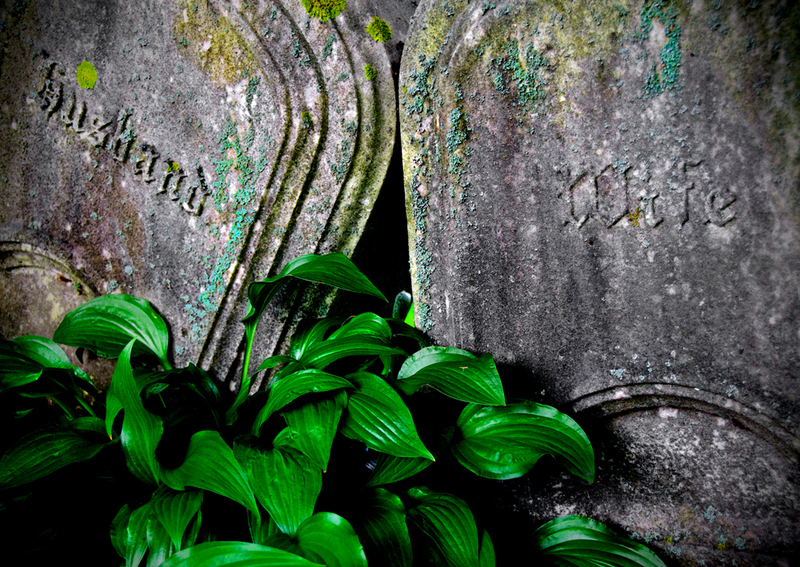 Only epitaphs from gravestones serve to enhance to visual messages from the photographs. Instead of sadness, many of the photographs declare a triumph of the continuance of life and memory. 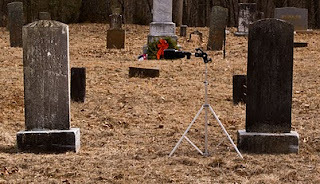 As a genealogist and gravestone photographer myself, I was intrigued to know which cemeteries were the backdrop of his photographs. The images in the book are free from micro details such as these but I was pleased to discover an index in the back which satisfied my curiosity. For those that are inspired by his work, Grant also provides an appendix with further information about gravestone studies. "I'm a documentary photographer. I take good accurate photos; sometimes I even take a great picture....John Grant goes one more step. Grant takes what he sees with his eyes and feels with heart and soul and somehow magically extracts the essence of his subject and makes a picture." I couldn't agree more. 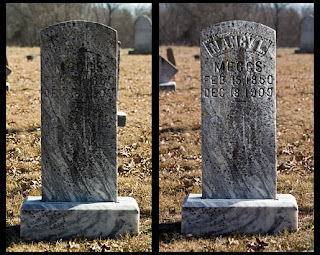 Most genealogists, taphophiles, historians and others with interest in old gravestones are bent on documentation and preservation. 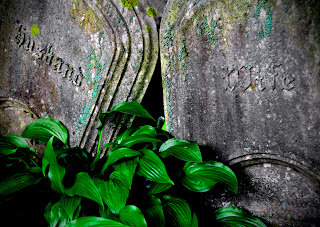 John Grant uses the camera's lens to transform stone memorials to life. His photos are evocative, poignant, emotional and inspiring. In this book, the combination of artistic creation, material culture, history, cultural landscape and natural wonder mesh to form a vibrant expression of color and beauty. Anyone with an appreciation for history in its natural environment will enjoy this unique expression that links the past to the present. It's success lies in capturing our truest feelings at perhaps the most vulnerable transition in every person's life. A work of inspiring art, Final Thoughts is the touching visual expression of history and genealogy brought to life. Get to know author and photographer John Thomas Grant better by reading my interview with him. Jill Ball over at Geniaus asked "What's Your Morning Tech Routine?" I've had such a fun time reading the responses from Randy Seaver, Caroline Pointer, Joan Miller and many others. I even learned a few things too. While I don't think I have the "techiest" routine I thought I would go ahead and share mine. I typically get up early, before the sun is up. I like the chance to get the day started before the rest of my boisterous house wakes up. I am not one to check social media while still in bed. I head downstairs and fire up the laptop. With one fell swoop I start Outlook, Facebook (on Chrome), Google+ (on Firefox) and Twitter (on TweetDeck). My browsers default to Facebook and Google+ as their start page. While my computer is loading everything I shuffle off to the kitchen to prepare a cup of hot tea. Before I have my tea in hand and before my computer is ready I sometimes take a peek at the alerts on my Android smart phone. I feel that this is somewhat cheating because I am going to see everything soon on my laptop anyway. However, this does tend to impact what I look at first on the laptop. Typically I check my email first. You never know when a request might come through for a talk or someone has a too-good-to-resist proposal or suggestion. Then I head over to social media. I like to see if there have been any responses to my posts and to see what is flying across the genealogical community. On Facebook I have several lists setup - one for local colleagues and one for family. I try to be sure to check those so I don't miss the posts of people who are less active on Facebook. My connections on Google+ are more eclectic and I enjoy switching over there to see the latest from the photographers and hear the suggestions and thoughts of writers and genealogists. And then there's Twitter. I am addicted to Twitter so I actually try to steer clear of it as much as possible. The rapid fire conversations and sharing of information is just my pace. It's so diverse over there too. You can connect with many different types of people on many different topics. I try to only get sucked in about one morning a week. When I am disciplined I review the latest articles being shared in genealogy and preservation and then move on. My favorite person to follow is Deb Ruth because she tweets some of the best genealogy news stories. Others I like to catch include Caroline Pointer who is a powerhouse of activity on twitter and Lynn Palermo who always has great original content. Of course, there are loads of great people on twitter and I follow many more than just these folks. Sometimes I also spend the time to check out the latest Boston news. By this time I am well into enjoying my hot cup of tea. I might even be moving on to my second cuppa. After reviewing social media I turn to my blogs. I check out my blog stats from the previous day paying close attention to the search keywords and phrases that people use to get to my blog. Sometimes I will see a trend in the phrases and will then write on the topic that is being requested. In my head I am outlining my next blog posts. If I am on the ball I start a quick post, jotting down the title and main idea so I don't forget the idea later. That has been known to happen and it always frustrates me when I forget a good idea. After that I try, though don't always succeed, at prioritizing my to-do list for the day. Because the activities I do are so varied, such as preparing lectures, doing research, updating my website, networking on social media, publicity for conferences, writing, blogging, etc it really helps to write it down and focus on what I really need to get done. I am deadline driven and anything with a deadline gets done first. My morning routine is now complete and I brace myself for the running, yelling, dancing, singing, last-minute-homework scramble and general choas that will take over the next two hours of my day. What's your morning tech routine like? Does it look anything like mine? Probably not! The mystery heirloom sent by Good Samaritan Steve from Long Island has arrived!! It is cleverly disguised as a Nike box! I have to admit that I was so excited that I asked the postal clerk for some scissors and he helped me open the box right there in the post office! It has an inscription on the front! It was a gift from his mother in 1868! The Bible reveals family members that I did not have recorded. I'm off to a good start. I'm going to enjoy going through each of the four pages of family history including births, deaths and marriages. At first glance it doesn't appear like any brick walls are going to come tumbling down but I am so happy to have this item back in the Edwards family. Thanks so much to Steve from Long Island! It's a wonderful, thoughtful thing you've done returning this Bible to the family from which it originated. First there was the wonderful moment of serendipity discovering stained glass windows dedicated to my ancestors in their family church. Then later the same day, I was talking to my ancestors asking them to give up their secrets. Is it a coincidence that four days later, while I was a the library with the kids no-less, that I received a phone call from a total stranger offering me a family heirloom? Of course, you can say it was a total coincidence. Or you might consider that my ancestors took pity on me and decided to throw me a crumb. I received the call from a man named Steve (I would write his last name but I'm afraid I would spell it wrong) from Long Island. When he first started talking he asked if I was an Edwards descendant. I was a little suspicious at this point because in the past when people have asked me that they wanted to sell me something for a lot of money. But Steve kept talking and never mentioned money so I started to relax. He said he's had an Edwards family heirloom (I'm not going to tell what it is until it arrives) for the last 30 years. 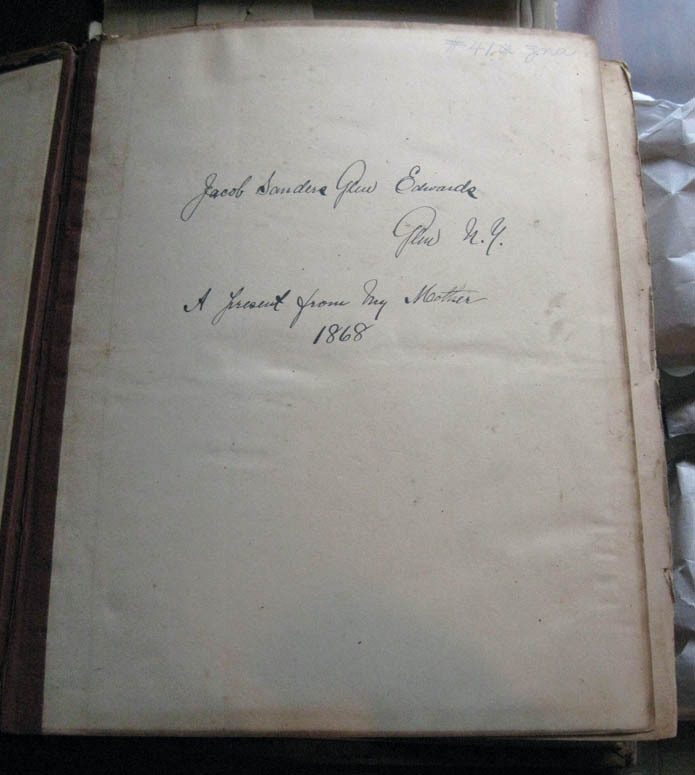 He did say that the item dated from 1868 and contained some family history. 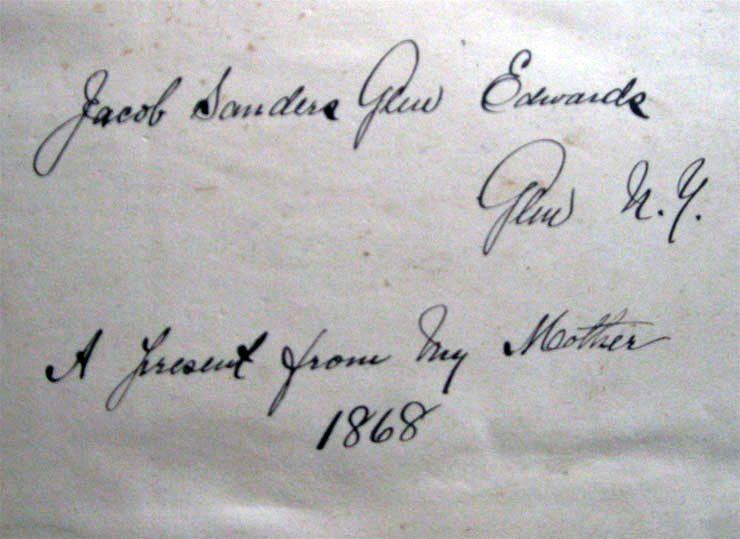 And what's more, he wanted to reunite the item with the Edwards family. He still didn't ask me for any money so I offered to pay for shipping and he declined. Steve wasn't able to sent it right away. The waiting has been keeping me in a frenzied state. 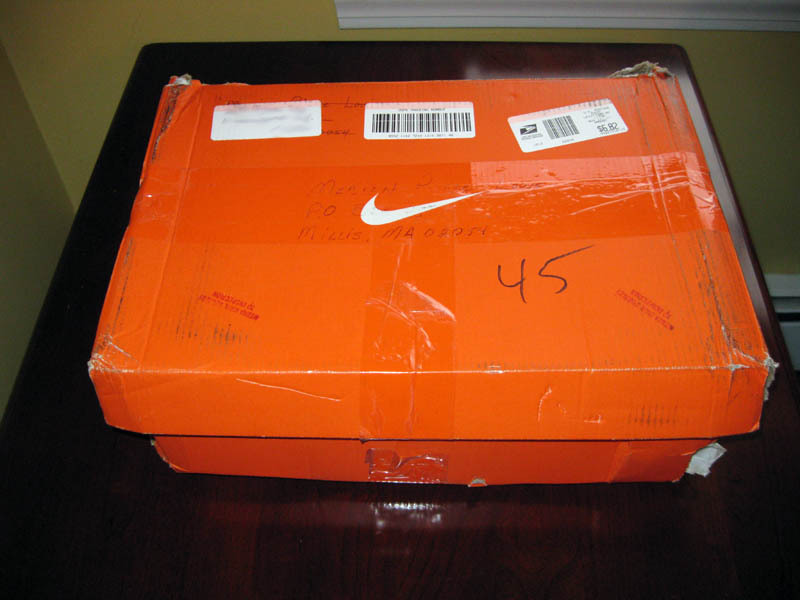 I got a text message from Steve yesterday saying that he mailed it that morning and it should arrive in a few days. So many questions are running through my head! Will the heirloom answer any long standing family mysteries? Will it solve the brick wall regarding my immigrant ancestor, William Edwards? Will it provide new family information? I will do my best not to desperately check the mail box every day this week but it will be hard to contain my excitement. In the meantime, I'm going to hold off saying what it is until it arrives. Then I'll share a photo with everyone. I'm classifying this one under serendipity! 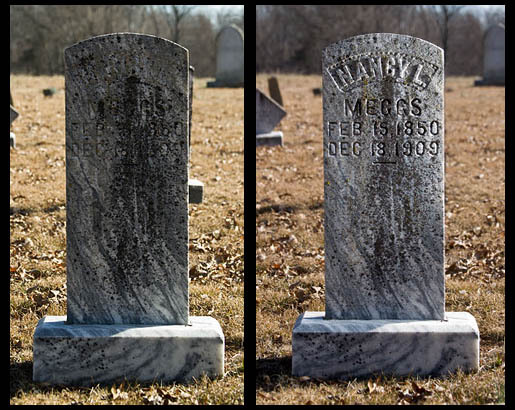 This is one of a series of posts that follow up on my Legacy Family Tree webinar called "Brick Walls: Cracking the Case of Nathan Brown's Parents." Use the Nathan Brown tag/label to view all the posts in the series. During the research process it is inevitable that you will encounter secondary sources and information. If you don't pay attention you might not even realize when you are using them. Secondary sources are resources that were not created at the time the original event occurred. 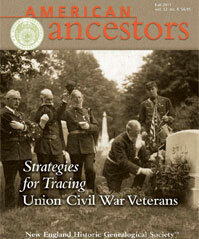 These can include published genealogies, transcriptions and family oral history among others. There are many different kinds of secondary sources. Secondary sources can act as a guide to help your research proceed in the right direction. They need to be supported, however, by primary sources that will confirm your findings. Secondary sources also need to be verified to prove they are accurate. Secondary sources, as in the case of published genealogies, that do not cite sources may not be accurate and can possibly lead you in the wrong direction. 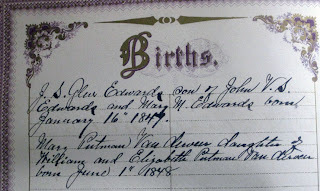 To learn about the Brown family I used the book Vital Records of Swansea, Massachusetts to 1850 transcribed by Peter Rounds. 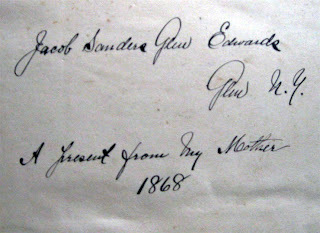 Mr. Rounds was not the Town Clerk present at the time that the records were originally recorded. 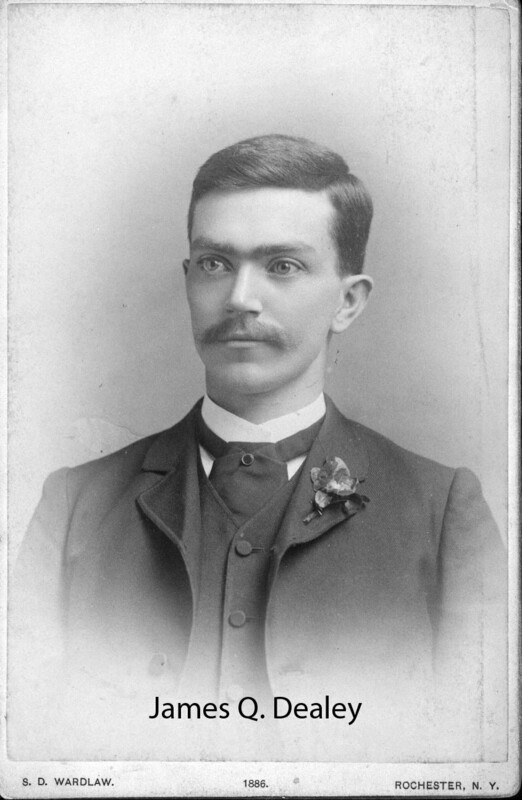 He was a 20th century researcher who published a transcript of the original records. Errors could have been introduced at the time of transcription. Using transcriptions, particularly for vital records, is not usually a problem because of access to the original records. Many original records have been microfilmed so that you can check them. In New England, you can also visit town halls and check the original records in person. Whenever there is a question about the accuracy of a transcription, the original should be consulted. 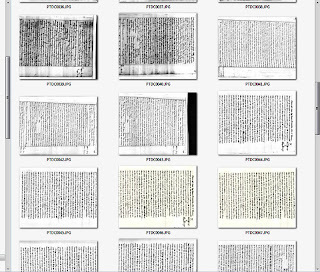 When you search on Ancestry.com to find images of original documents you are using an index disguised as a search function. The index results are considered secondary sources because they are created by someone who was not at the original event. The transcriber who created the index is one level removed from the original documents and could introduce errors into the index. 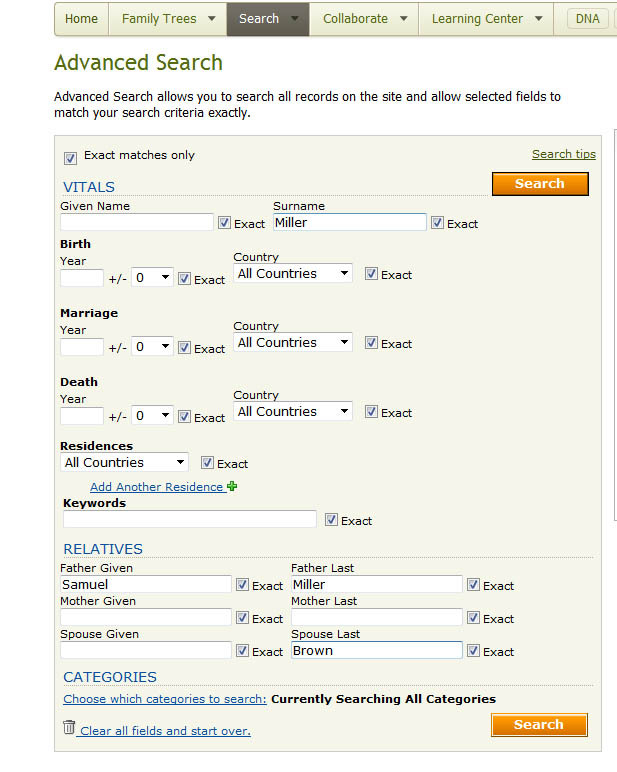 If you search on Ancestry.com and obtain results from the index but don't actually click through to view the original document image then you are using a secondary source. Only when you view the image of the original can you say you have consulted the primary source. In the case of Nathan Brown, I used indexes on Ancestry.com to search US Federal Census records. When I scanned a page of Brown families living in Charlton, Massachusetts, I was viewing secondary sources. The same is true when I used the used the Worcester County Probate Records Index to identify possible family members for Nathan Brown. My analysis of the secondary source information then helped me target which original records I should view as my primary sources. The Barbour Collection used either at the Connecticut State Library or on Ancestry.com are both secondary sources. The Barbour Collection, a state-wide compilation of vital records, was created from viewing the original town records. The Barbour Collection on Ancestry.com is one step even further removed from the original source because it is a transcription of the Barbour Collection index and not taken directly from the town records. Is the information incorrect? No, not necessarily but the further removed you are from the original the more importance there is in verifying the original source and the more likely there could be errors. The most troublesome secondary sources are the published genealogies. They are so tempting to take at face value and incorporate into your family history research. The best rule of thumb is the older the publication is the more suspect it is. Another item to look at with published genealogies is the citations. Are there citations for each fact, each paragraph or simply each biographical entry? Perhaps there are no citations but simply a bibliography at the end. The fewer the citations the more likely you will need to verify everything you read pertaining to your research. Some genealogies are published in peer reviewed journals such as the National Genealogical Society Quarterly and the New England Historic and Genealogical Register. Genealogies published in well-respected, peer reviewed journals are more trust worthy than other published works and you will likely find they include detailed citations. Boyer, Carl 3rd. 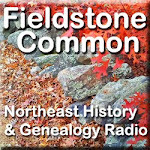 New England Colonial Families Vol. 1, Brown Families of Bristol Counties, Massachusetts and Rhode Island, From the Immigrants to the Early Nineteenth Century. Newhall, California: Carl Boyer, 3rd, 1981. Browne, William Bradford “Chad Brown and His Descendants”, New England Historic and Genealogical Register, Vol. 80 (1926), 73-80, 175-176. White, Dorothy Higson. Descendants of Roger Williams, Book III, The Sayles Line Through his Daughter Mary Williams. East Greenwich, RI: Roger Williams Family Association, 1991. In the next post in this series I will specifically look at an example from one of these publications and analyze the accuracy of the information. If you missed the live version of the webinar, you can see it now in the Legacy Family Tree archives. It will be available until November 14, 2011 to view (for free) at your leisure. 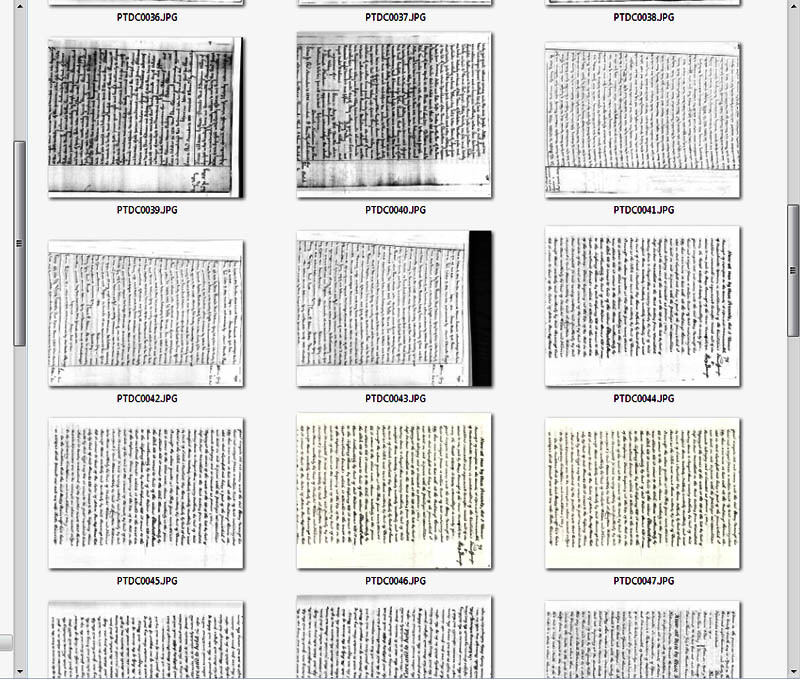 It's hard to believe that at this stage in my genealogy research I am having a complete software upheaval. But the reality is I am facing starting from scratch. Oh, the choices I have to make. The past year has seen two hard drive failures on my laptop followed by the purchase of a new laptop. This has also hastened to complete transferal of everything from my old desktop to my new desktop which finally became useful once I got a hard drive large enough to hold all my files (yay for my 2T hard drive!). The Master Genealogist (TMG) - I bought a copy of this with the intention of slowly converting my family research and key project data with the hope of creating a really sound, accurately sourced database. Unfortunately I didn't have the time it required for the steep learning curve so I never really got going with it. The Next Generation (TNG) - I love the concept of this software and hoped to replace my PAF html website with this wonderful database driven one. Unfortunately, I had too many technical difficulties so that I never got it up and running. The plan for using this was abandoned. I still hope some day that I can get it setup properly on my website and put it to good use. I will have to hire technical assistance to get the job done. Legacy Family Tree - I started using the free version of Legacy on my laptop for small research projects. Sometimes when sketching out a family it was easier to view it from within a database. It was very handy to be able to use Legacy to accomplish this. Insert technology cataclysm here. One new laptop and one new (refurbished) desktop later I am faced with loading both computers with new genealogy software. Both of my new operating systems are Windows 7 and my previous ones were Windows XP. 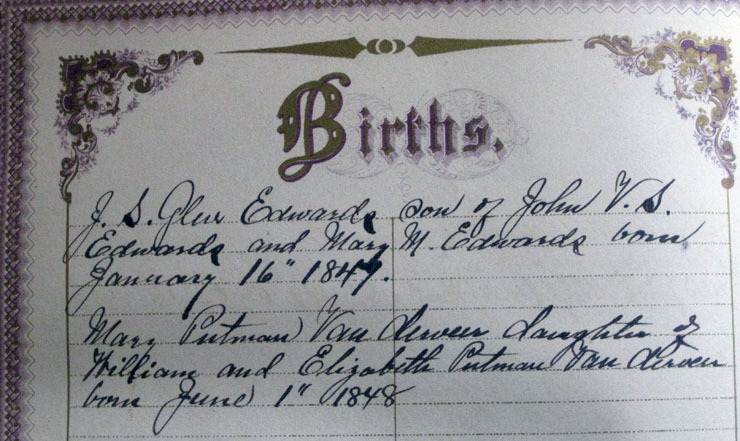 What's a genealogist to do? Do I repeat my old systems or create something new? I didn't mention that before my laptop died for the final time I had installed FTM 2012. I was very concerned with the fact that the database kept crashing and I didn't like the interface. It was way too different from my old version of FTM. I got in there and could barely do a thing because nothing looked familiar. Recently a colleague told me that FTM 2012 is not compatible with any other software program so that if I put my data in there and make changes I won't be able to use it anywhere else. I don't know if that is true or not. Can someone answer that for me? I am very sensitive about anyone getting proprietary with my data. If that's the case then FTM is history for me. Last Friday I watched a webinar by Mary Hill about organizing your family files. The talk was mostly about organizing your paper files. She used a color-coded system. I am a very visual person and found her system very helpful and logical. I have never really organized all the paperwork from my mother so I thought perhaps now was the time and that I would use this system to put it into place. Another thing I liked is that Mary's color coding system transferred to the computer on Legacy Family Tree. When reports are printed from Legacy they can maintain the same color coding system. I really like that idea. I have no attachment to any one genealogy program. As far as I'm concerned, they each have some strengths and weaknesses. Even so, I have still yet to find the one program that has everything I want. So what I am thinking of doing is starting over using Legacy Family Tree as the main software for my family research and everything else. It seems that a learning curve is inevitable at this point because all of my old software is so old that I can't use it anymore. I am forced to learn a new software no matter what choice I make. What are your thoughts on this? Which software would you choose? Has anyone encountered any problems with the new FTM 2012? Any words of encouragement for getting started with Legacy? Disclosure: I have been paid to do webinars for Legacy Family Tree. My webinars are competely independent and separate from my use of genealogy software. There is no agreement or requirement that I use the Legacy Software. If you are a blogger, non-fiction writer, novelist or other then November is the month for you. The whole month is geared toward writers. There are three events dedicated to writers and the goal of getting writers writing as much as possible. Need help finishing that book? Need some motivation to blog more often? Then these events were created with you in mind! The event that I am most familiar with is called NaNoWriMo which stands for National Novel Writing Month. This fiction writing event encourages novelists and other fiction writers to write 50,000 words in the month of November. The goal is quantity not quality. Writers are told to focus on writing and not to go back and edit. That can be done after the month is over. This program is well organized with local support people who set-up "write-ins" and other gatherings to motivate the writers. The Write NonFiction in November event is new to me. This is one blogger's response to NaNoWriMo. This event is likely not as large as the fiction one but it does seem like there is a good crowd participating. I had planned on being a rebel non-fiction writer in the NaNoWriMo until a colleague told me about this event. The main goal for me is to find something that will really get me writing. If I can fit in with this group then perhaps that is a better place for me. Whatever your genre preference is for writing, take advantage of the support you will get and join one of these events. If not this year, mark it on your calendar for next year. You may end up finishing up that book you've been working on! Nathan Brown: Do it Yourself or Hire a Professional? In a previous post "How Much time and Effort Did It Take?" I laid out exactly the effort I extended to find the parents of Nathan Brown. It took me somewhere between 40-80 hours. When deciding to do brick wall research yourself or whether to hire a professional a number of factors come into play. The first issue is money. Professional research is going to cost on average somewhere between $25 and $50 an hour depending on where you live and the experience level of the researcher. If we use the work I did as an example, and we settle on 60 hours, at those rates you would be paying $1500 to $3000 for that amount of research. Some people might have that kind of money to spend on genealogical research but many don't. If you do choose this option, you will want to choose a professional genealogist very carefully. You will need to make sure that they have the specific skills required to solve your brick wall. The other factor that comes to mind is, even if you do have the money, would you want to give the whole project away to another researcher? I'm sure many genealogists would like some help and still continue to participate in the research process. 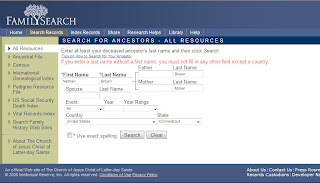 There are a few alternatives that the regular genealogist can choose from. The first is to have a consultation with a professional genealogist. In this scenario, you provide the professional with all the information and documentation that you have accumulated on your brick wall. They will review the information and provide you with suggestions for where you should focus your efforts. This can be a very effective and reasonably priced solution to get you back on track and on route to solving your brick wall. Before choosing this option be sure to choose a genealogist who is familiar with the location and time frame that you are researching. Another thing you can do to ensure the success of your consultation is to have all of your documentation well-organized. Be sure to let the genealogist know about your negative searches. Those are the books and databases and other resources that you've already searched but came up empty. You may have noticed that my search process was broken up into specific activities in various geographic locations. Another ideal strategy to harness the help of professionals in a limited manner is to hire them for very specific tasks. This works particularly well if your brick wall touches on a number of different geographic areas. For instance, if I were to have hired a professional I could have asked them to search for deeds at the Registry of Deeds in Worcester, MA for Nathan Browns who lived in Charlton, Massachusetts between 1795 - 1815. (I allowed for a couple extra years on either side.) I could designate 3 hours of research time and a limited scope of searching for deeds. In this case, the researcher would get back to me with any deeds that were found or a report indicating that there were no deeds for any Nathan Browns that met the criteria. In this kind of scenario you as the researcher would retain total control over strategy and analysis and the professional would be performing record lookups on site. This is particularly helpful for genealogists who do not live near enough to the brick wall locations to do the research in person themselves. The down side to this is that the paid researcher doesn't know enough about your research to notice related or allied family names that they may come across in the course of the research. That could leave missed opportunities. However, it still covers the main targets of your research so is a reasonable option. The key to solving a brick wall, whether you do it yourself, or make use of a professional, is to create a well thought-out research plan and then document what you find. That way no matter what happens you'll be able to review your own notes or a professional will be able to help you better when looking at your well-prepared documentation. Nathan Brown: How Exactly Did I Find Nathan's Parents? During the webinar I did not go into great detail about exactly how I found Nathan Brown's parents. Some people wanted to know how I found them in Swansea, Massachusetts. The truth is I didn't search for them in Swansea, MA, they just happened to be in Swansea when I found them. "Can I find a family where the Brown husband married a Miller wife whose father was named Samuel Miller?" In order to find a family such as this I harnessed the power of a database and Boolean logic. Genealogists are by nature an analytical bunch and many already apply this kind of thinking when doing Google searches and such. 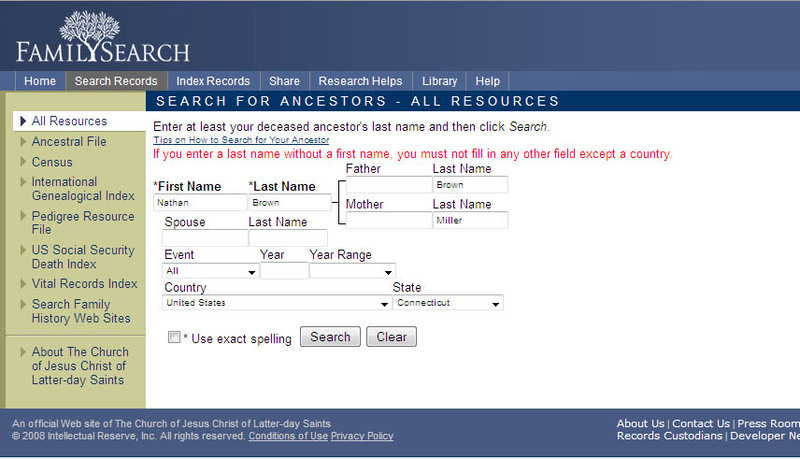 So to make this happen all I needed was a database that would allow me to search on an individual's name, a spouse's name and a father's name. 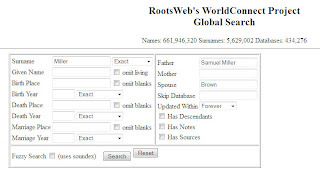 FamilySearch.com, Ancestry.com and the World Connnect database will all let you do this kind of searching. FamilySearch is a little fussy in that when you only have a last name you can't enter any other information but the country. Without the name of parents ahead of time you would have to enter Nathan Brown and Brown for the father and Miller for the mother. If no connection has previously been made between the child and the parents (as is the case with most brick walls) then your result will turn up empty. But try it anyway because you may have good luck. 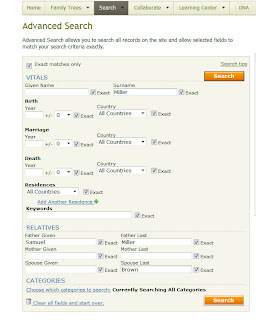 Ancestry.com always allows for this sort of search when you use the advanced search option. And World Connect is likely the easiest of all to use when trying this sort of search. Now, the easy part is doing the search. The hard part is searching through the results. With common English names like Brown and Miller, the search will result in many, many hits. So it's best to restrict the search a bit more. Since I believed that these families either were born or died in Connecticut, Rhode Island or Massachusetts, I can then restrict the search to those states (fill in only one of the criteria such as birth place not both birth and death place). By performing three separate searches, each with a different state, I can get much more specific, higher quality results. 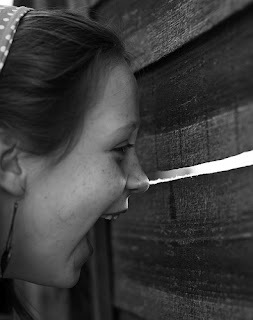 When I did the search narrowing my criteria, I came right to Jeremiah and Rebecca Miller and her father Samuel Miller. The effectiveness of this technique will depend on how unique the names are that you are using and how much information you have about your brick wall. The more information you have the easier it will be. Nathan Brown: How Much Time and Effort Did It Take? This is one of a series of posts that follow up on my Legacy Family Tree webinar called "Brick Walls: Cracking the Case of Nathan Brown's Parents." One of the questions viewers would like to have answered is how much time and effort did it take to do this level of research? The quick answer is 40-80 hours. Why such a broad range? Well, for most of the journey I didn't keep track. As with many research projects, I started not thinking that this was going to turn into a big project. I really had no idea if I was going to get anywhere with this. After all, Nathan Brown had been a brick wall for Geoff Rasmussen for many years. Review of Geoff's documentation - 1 hour and probably another hour analyzing it over and over in my head. Trip to Connecticut State Library - This was a dual purpose trip, both to prepare for my Connecticut webinar and check information on the Brown family. Driving time 3 hours round trip (about 110 miles) and 4 hours of research time. Trip to the Worcester County Registry of Deeds - 2 hours drive time round trip, 2 hours research tracing deeds of all Nathan Browns in Charlton, MA. Trip to the Bristol County Registry of Deeds and Probate Court - Driving time 1.5 hours round trip (that's a short journey for Boston area residents!) plus 3 hours research. There I checked out all the deeds and probate records that related to the Brown family in Swansea, MA. Background research to analyze what records are available for Swansea, MA and Warren, RI - 2-3 hours. Trip to Charlton, MA with my colleague Carleen Farrell to explore cemeteries to find gravestones for any Brown family members - 2 hours driving plus 3 hours exploring. Admittedly this was loads of fun. We bumped into the gravestone of Grizzly Adams along the way! Trip to Warren, RI - 2 hours driving round trip, 4+ hours research at the Warren Town Hall (Probate, Deeds, Vital Records), the North Burial ground to find the graves of Jeremiah, Rebecca and Samuel Miller Brown, and the George Hail Public Library where I did background research on the town of Warren. Further banging my head against the wall - 2 hours. Followup trip to the Connecticut State Library where I doubled checked all resources and tried to locate new sources to help in the search. On this trip I also researched the families of Nathan Brown's wife, Molly Clark and Samuel Miller Brown's wife, Abigail Smith. Driving time 3 hours round trip (about 110 miles) and 4 hours of research time. Second trip to the Bristol County Registry of Deeds and Probate in Taunton, MA - 1.5 hours round trip, 2.5 hours research. This was to double check records and check some new names now that I had a better understanding of the family. Analysis time - 10+ hours. This is the fuzzy gray area that I can't really track. I can't really describe the countless hours I spent going over and re-working things in my head, re-checking all my printed documents, digital photographs and scans. Based on reworking my analysis this is where I figured out what to do next. So what do you think? Is that what you expected my journey would have looked like? As was mentioned on the webinar, I typically work mostly with original or local records. How would you have handled the same research? Would you have done something differently? 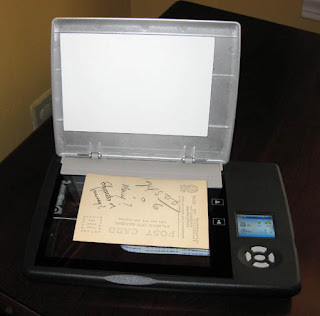 I have to admit that after I opened the new Flip Pal scanner I felt like a kid again at Christmas time. I love technology but I don't usually get too excited about it. I took the scanner for its first test drive at 8am Saturday while on the sideline of a soccer field. Yup, just me sitting there in a car getting ready to scan. Now that alone should tell you how amazing this is that you can be sitting in a car and use a flatbed scanner. I admit I really loved that total accessibility. I am one of those really impatient people when it comes to technology. I don't want to sit and read all the instructions and start step by step. No, not me, I just pulled it open, scanned the first thing I could lay my hands on (my business card) and then pressed the green button to go! Voila - it worked and I had scanned! That simple. Now, I don't recommend my approach. After I got over my rash impulse I stopped to read the brief but helpful instructions. They mentioned that before anything I should have set the time as soon as the scanner came on the first time. Since I totally skipped that part I am now at a loss for knowing how to change the time. It doesn't seem like you can change it later. I suppose my easiest solution will be to take out the batteries and simulate a fresh start. Another thing I discovered was the USB - memory card converter. The Flip Pal comes with a little device that let's you plug into a USB slot and then insert your memory card into that to access the scans. This is particularly helpful as my new latptop did not come, regrettably, with a built in memory card slot. Another small, really silly feature that I love is the slot on the back of the Flip Pal for a business card. While it may not prevent someone from stealing the scanner, it certainly goes a long way in helping honest folks get it back to you. I was able to explore on my own a bit and did a few scans at the two different resolutions but the fun really began later in the day at the NEAPG meeting. Several other people at the meeting already had Flip Pals or just got them. Flip Pal guru Sarah Nesnow got us all on the right track with using the scanner. First off, Sarah told us that the software for stitching photos together was located on the memory card. She gave us the very helpful heads up that if we switch to a larger memory card that we need to make sure to copy over the stitch software. So that's one question answered. I was really wondering where that software was hiding. I thought maybe I needed to download it or something. 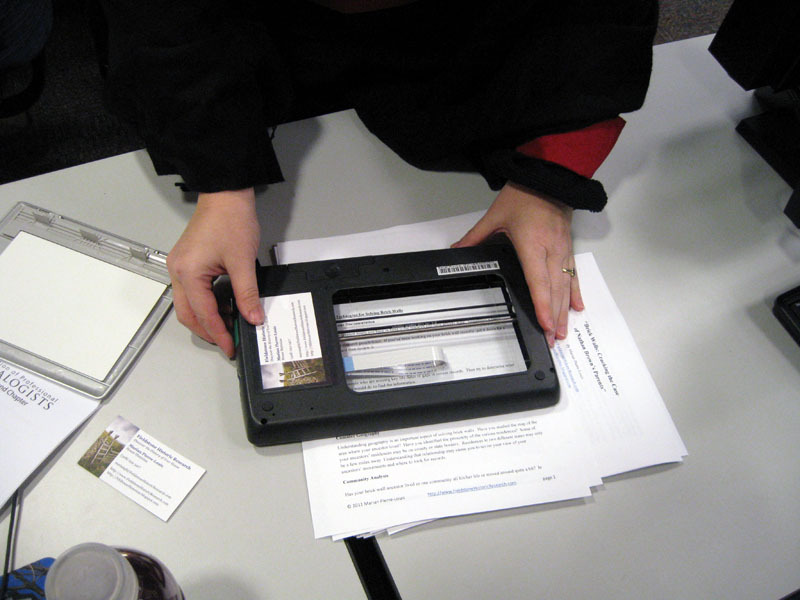 Second, Sarah showed us the most amazing thing - how to scan microfilm. She actually held the Flip Pal right up to the computer screen and scanned it. Amazing. She showed us many microfilms scans she had done to prove the quality of how it comes out. I was astounded. That will be hugely helpful. Lastly, she shared some examples of scans that were stitched together. I was very impressed because I couldn't see any lines. The only way I could tell was from the "overhanging cliffs" created at the edge of some photos were the scans didn't line up perfectly. The point of this "Simple Gift Blog Hop" is to demonstrate how the Flip Pal can be used to make family history gifts. I've got two thoughts in mind. 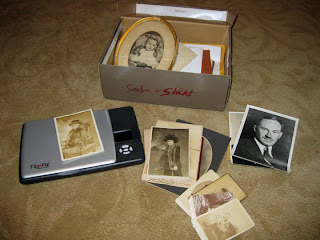 The first is to scan a bunch of old family photos so that I can get a deck of cards made up. I saw that done somewhere on the internet. My second idea is to create a Christmas present for my Dad. Not sure yet what to do but I'm thinking maybe about focusing in on his grandparents. Let me know if you have any ideas.